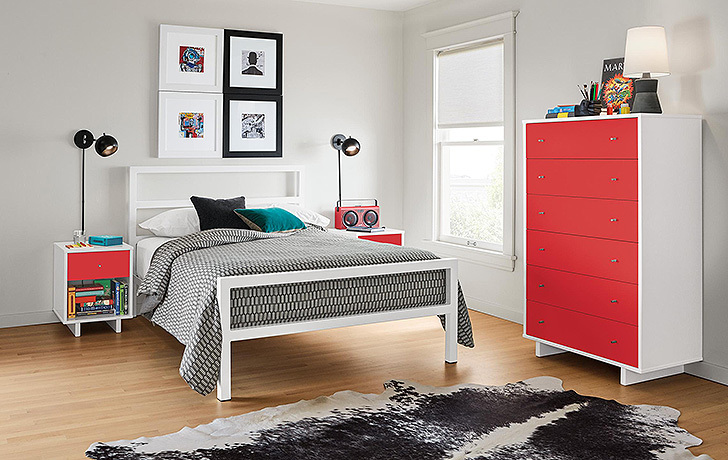 A pop of color is one of the easiest ways to transform a kid’s bedroom and infuse their personality into the space. Our Parsons beds (available in 14 colors) and Moda nightstands and dressers (available in 11 colors) help you do just that. Check out some of our favorite combinations that showcase a different color and personality in each. 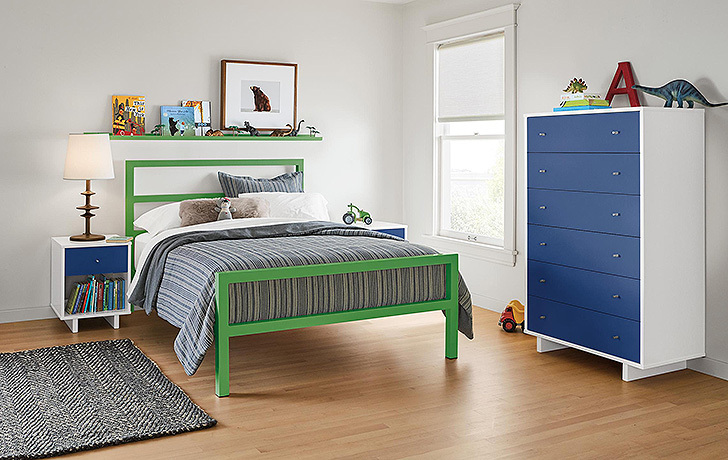 For more kids’ bedroom inspiration, visit our roomandboard.com. My aunt and uncle’s bed had a footboard and when we cousins were in their bedroom I was always stubbing my toes on it. So when I grew up and got married I made sure our bed did not have a footboard. None of the beds in our house have a footboard. Just a thought for future designs.